Rigley is from our SHR Mocha CGC x 6xGRHRCH UH Cuda MH** MNR Breeding. Rigley caught our eye the moment she was born, she stood out from the rest of the litter. As Rigley grew she exhibited the drive we were looking to produce in our kennels. We kept Rigley as our pick of the litter and have put her in our Puppy Head Start Program. So far Rigley has exceeded my expectation in training. Rigley has unlimited drive, always looking to carry something in her mouth. 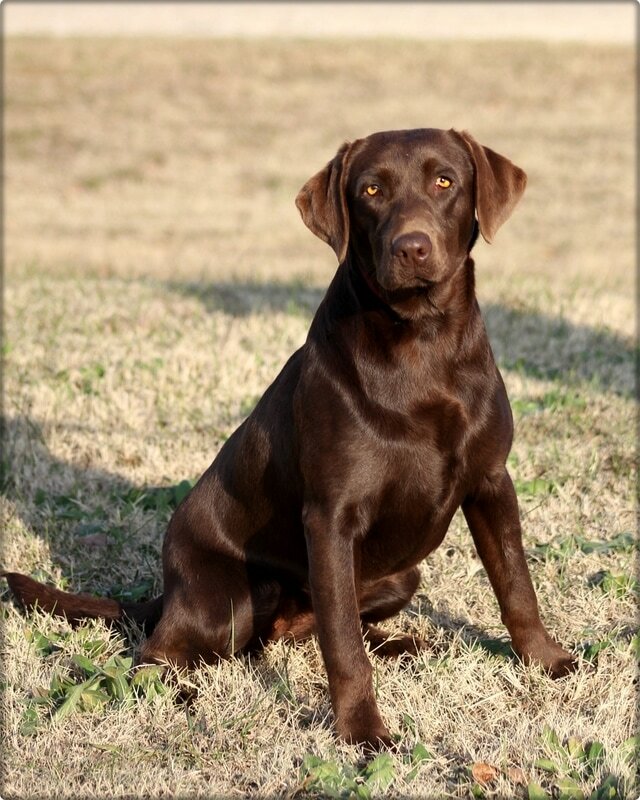 She is very willing and loyal as was her Dam "Mocha". Rigley boast the off-switch and drive we were thrilled to add to our kennels! We look for Rigley to run Started in UKC in the Spring/Fall !